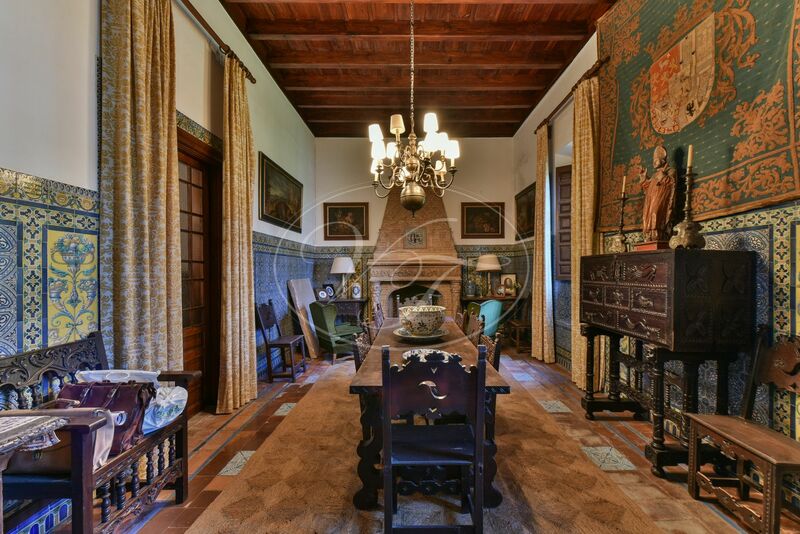 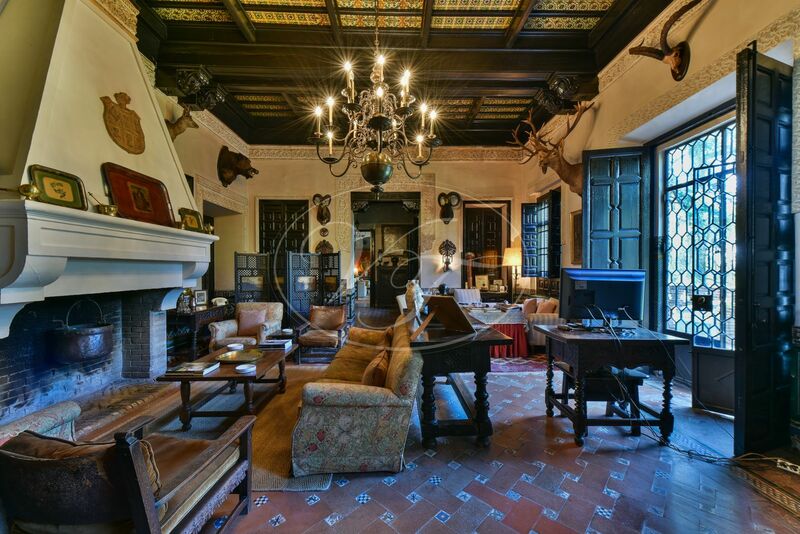 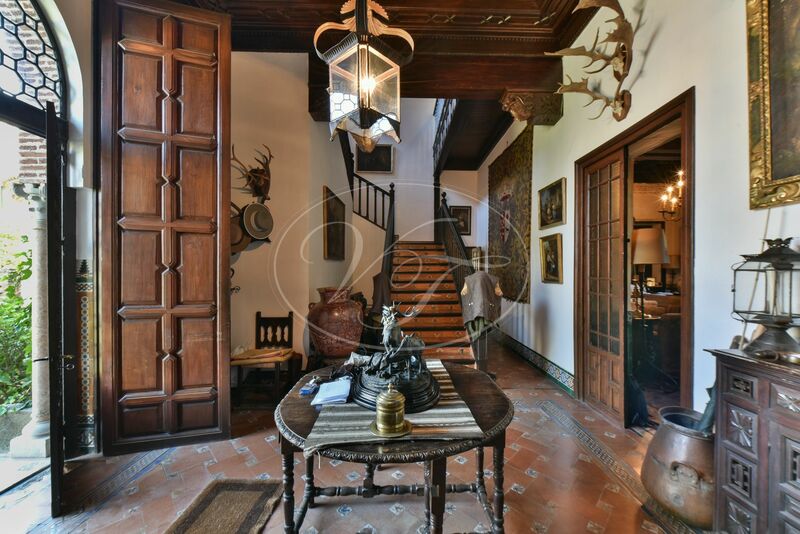 Spectacular big game Hunting Estate on 972 hectares in Huelva, Andalusia. 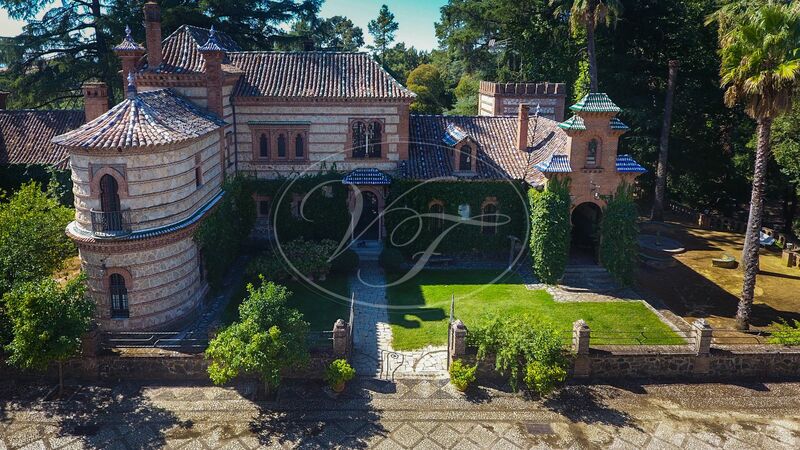 The Mansion was designed and built in 1910 by the famous architect Aníbal González, who designed the Plaza de España in Seville. 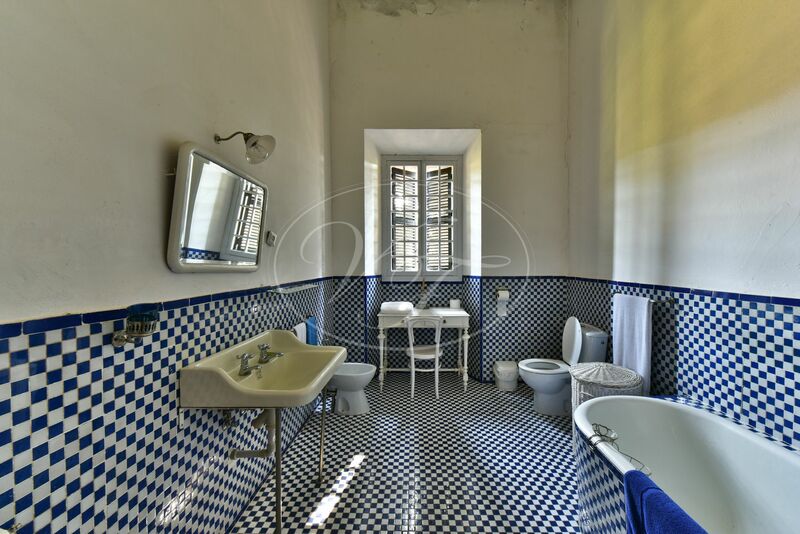 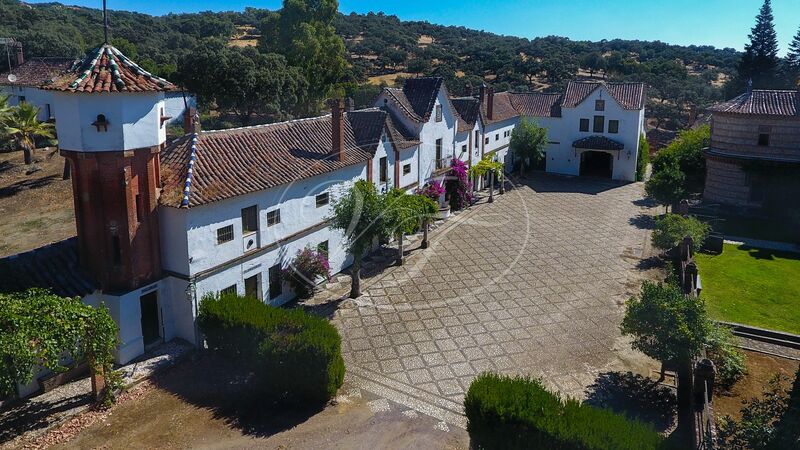 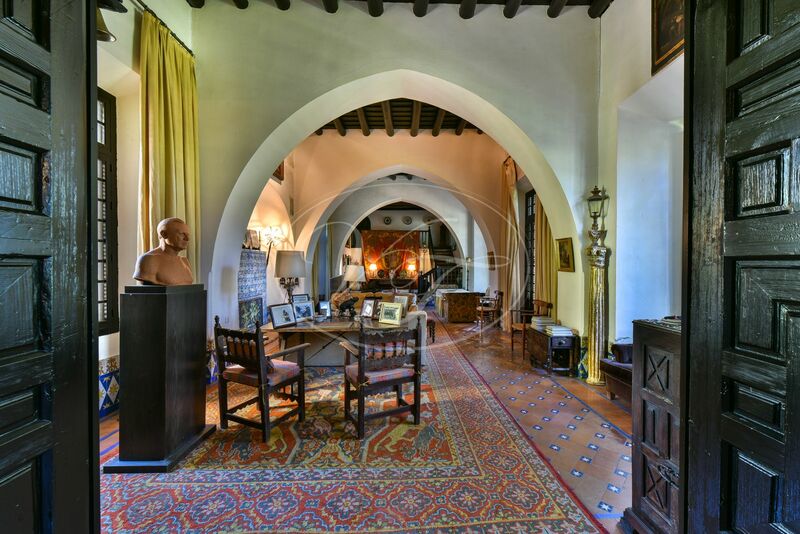 This country estate is situated near the historical village of Aracena with the Castle of the Knights Templars and the spectacular caves in the hills of the town. 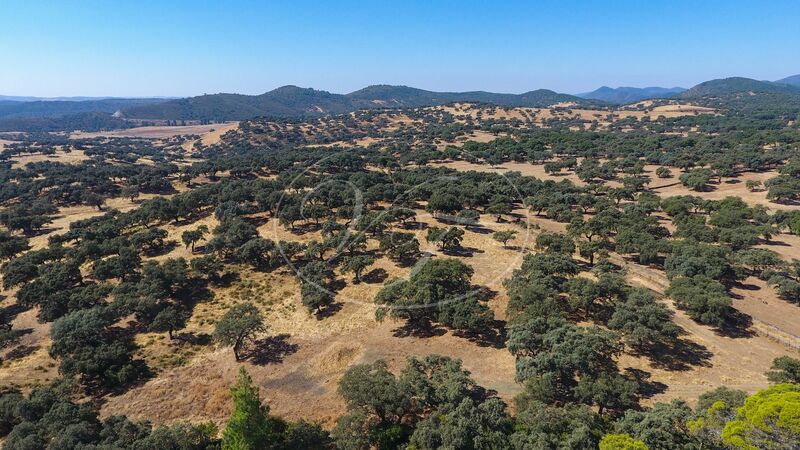 The hills of Aracena offer a spectacular natural setting and fabulous hunting conditions. 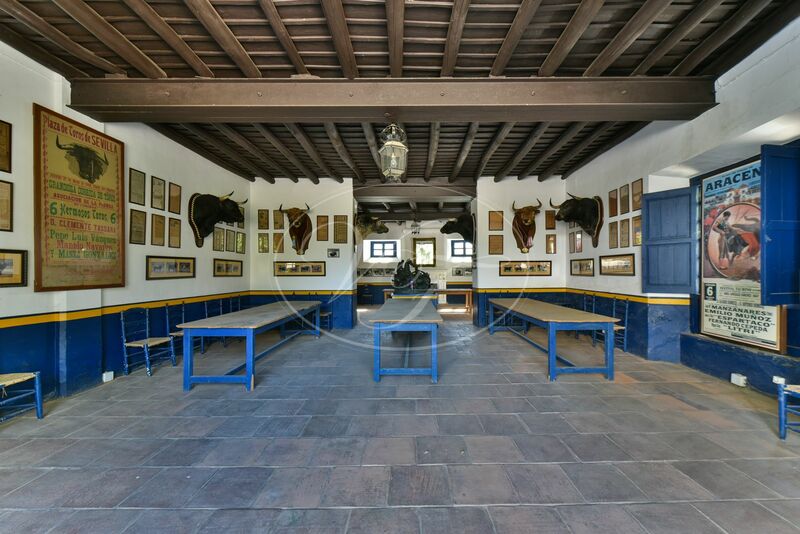 The main buildings are situated on a plot of 340 hectares, currently in use as a breeding farm for cattle. 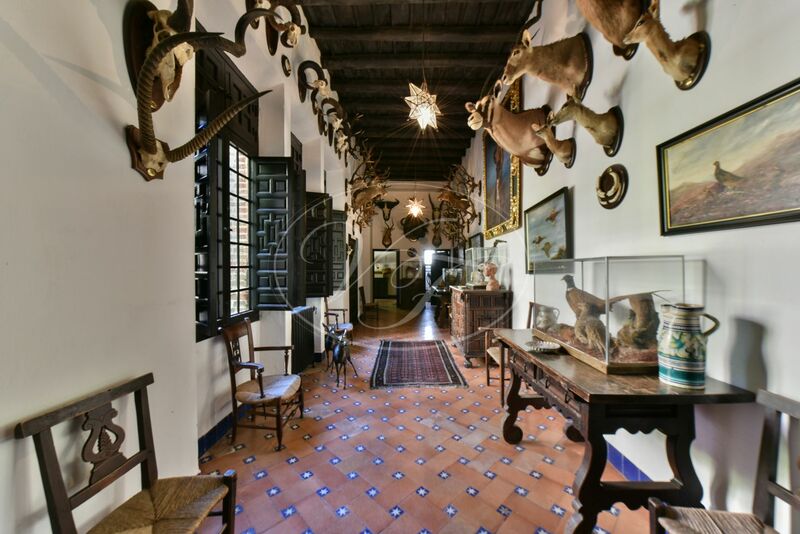 The remainder of the finca is mainly in use for hunting. 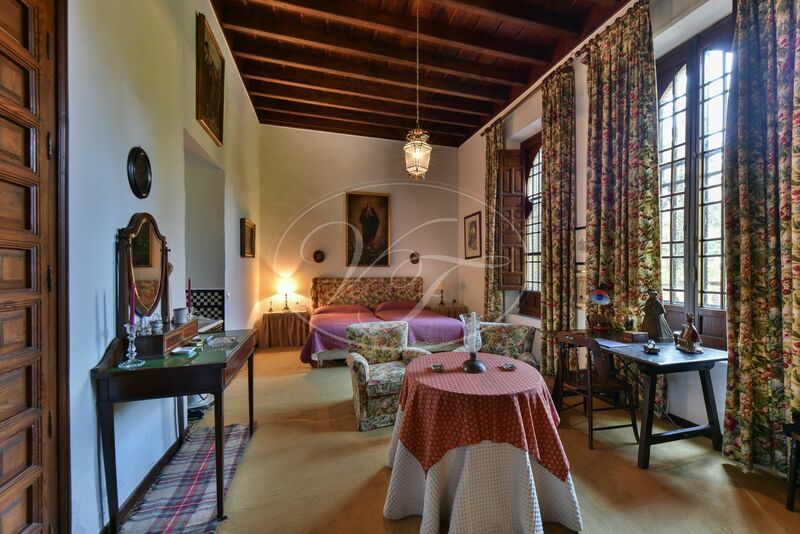 The buildings consist of: a nine-bedroom main house, a three bedroom staff house, second two-bedroom staff house, stables with seven boxes, small indoor riding hall, a courtyard with another 15 boxes. 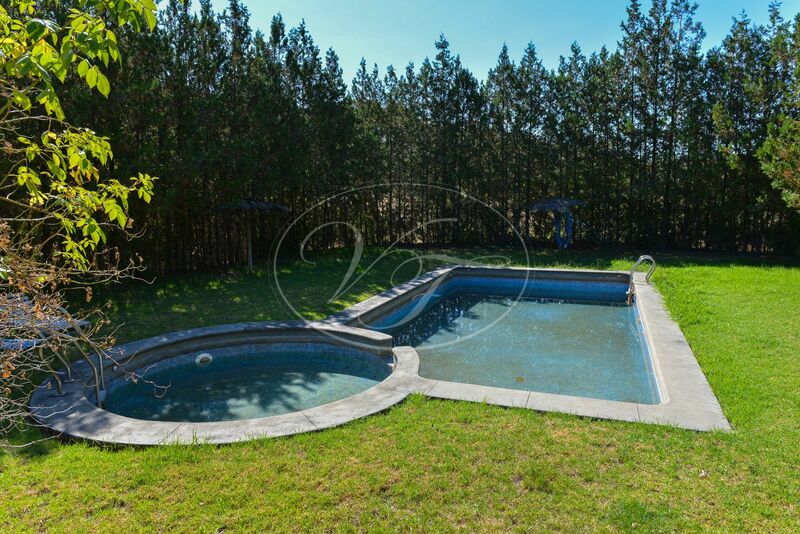 There is a small bullring, with a three-bedroom house and a pool. 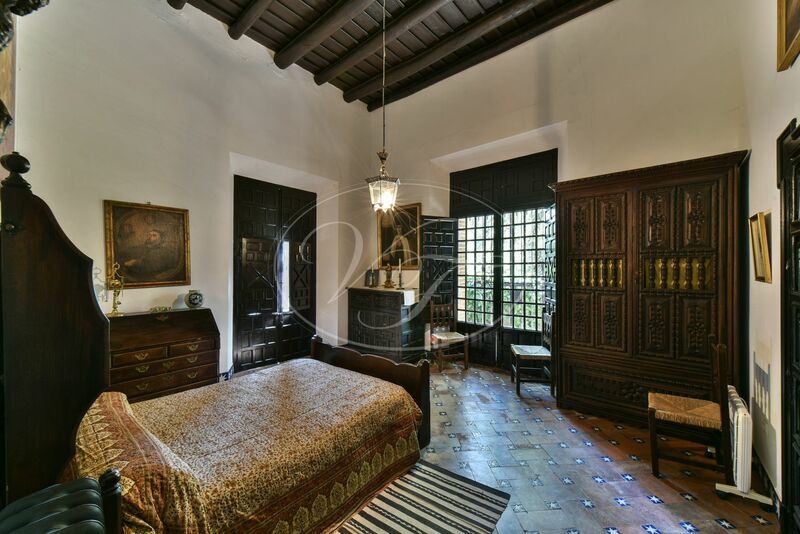 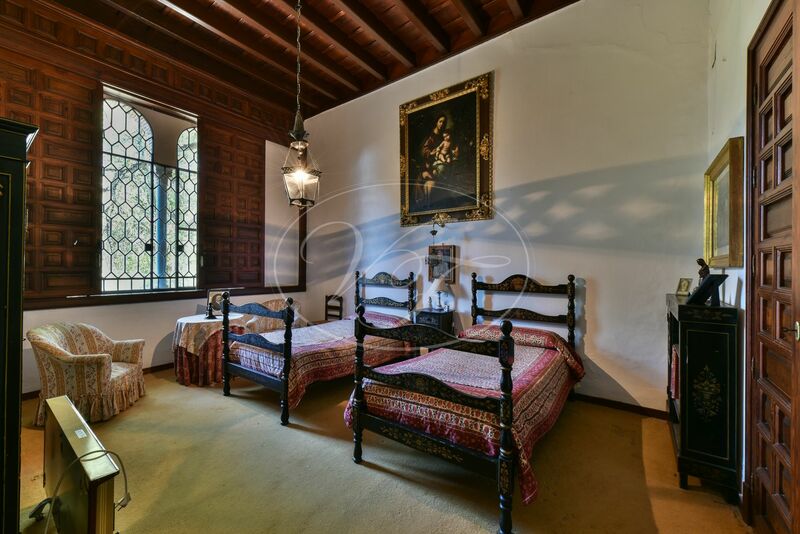 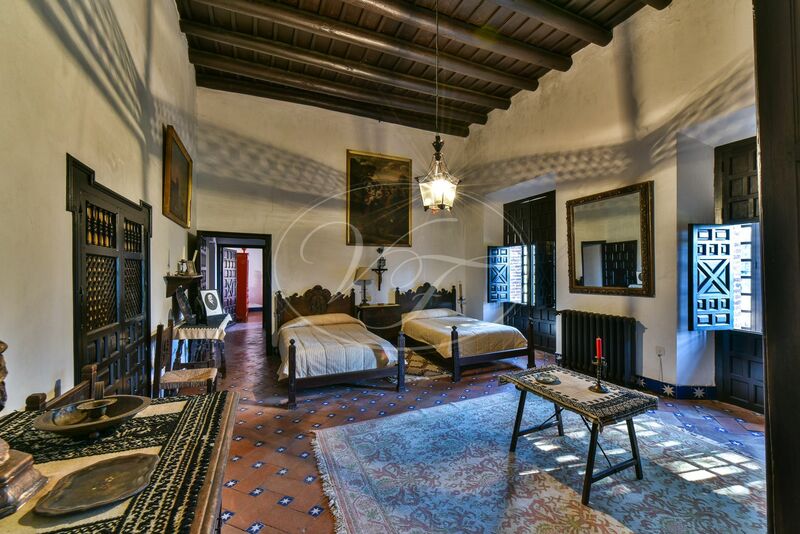 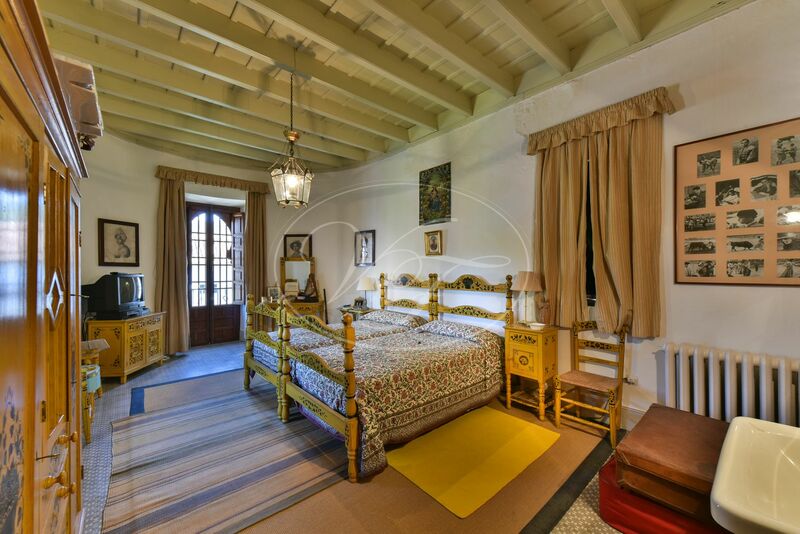 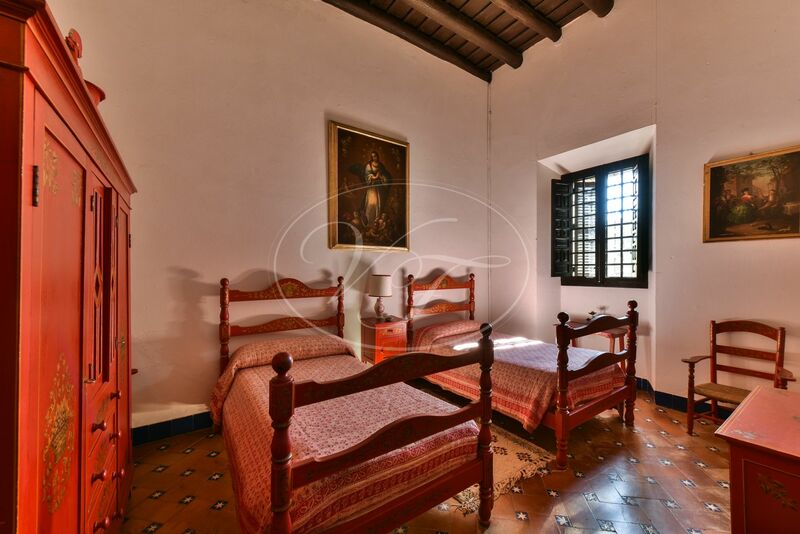 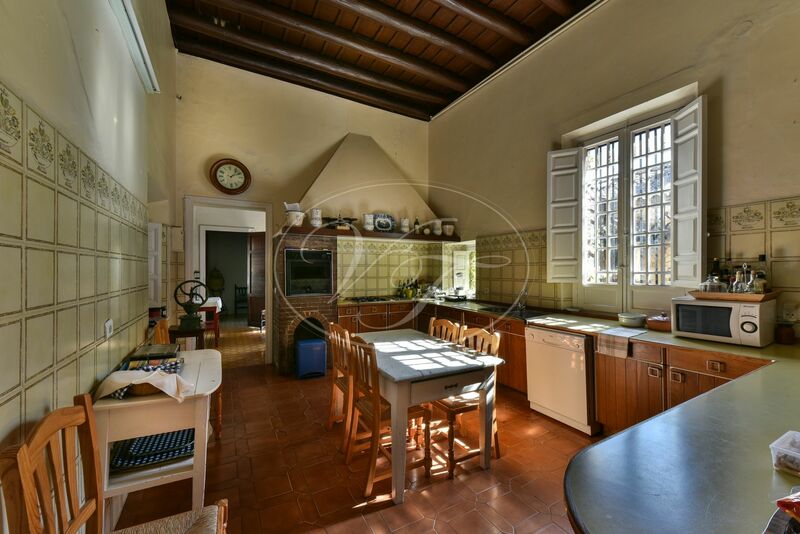 The main mansion has many authentic details and will be sold partly furnished. 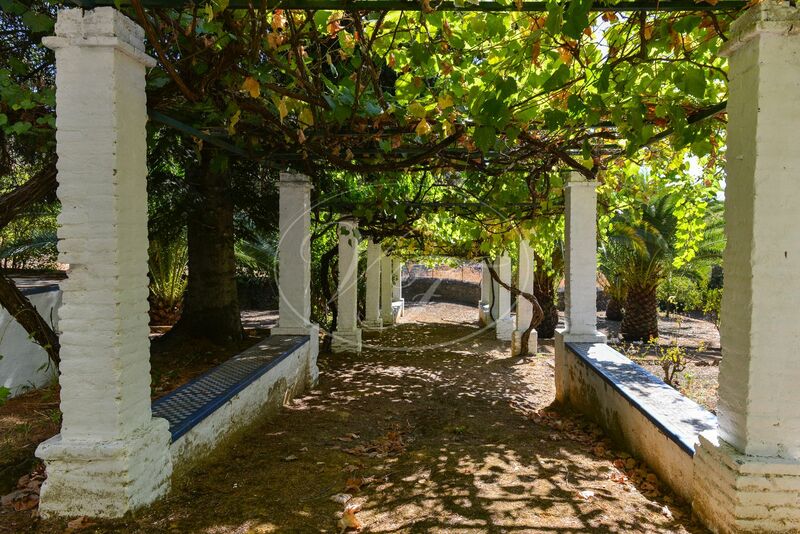 Formal gardens, bodega, swimming pool, fruit trees and special trees like the Pinsapo pine tree. 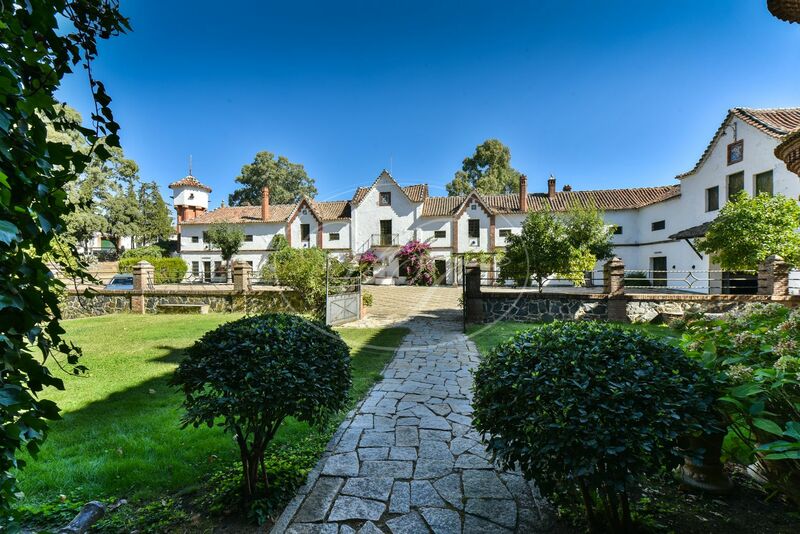 A small river crosses the land. 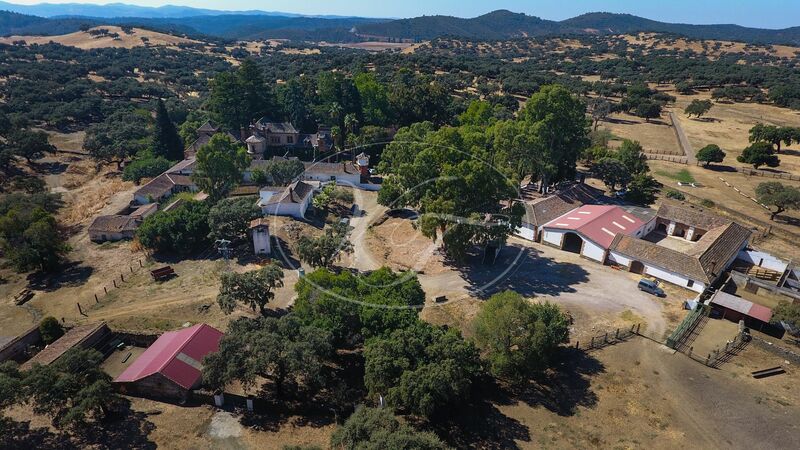 The plot is divided into sections with beautiful old stone walls, oak trees, cork oak trees, and pasture land, and with a gentle rolling character. 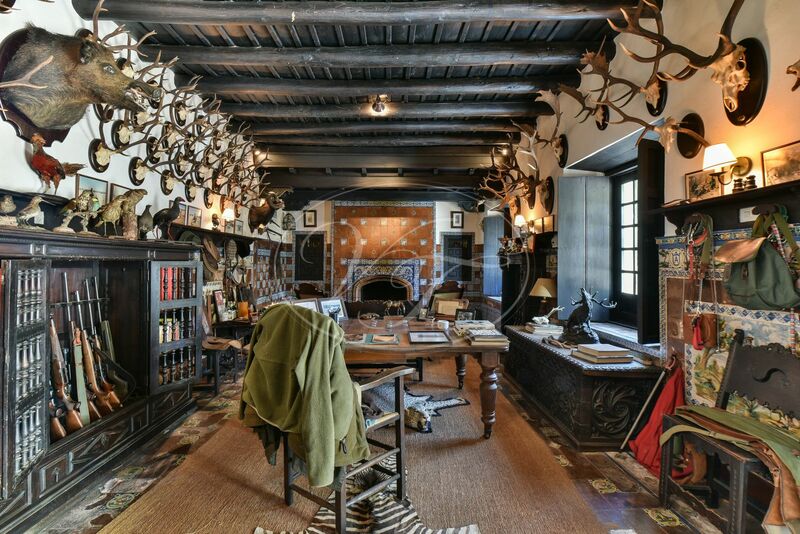 There is a license for Big game hunting. 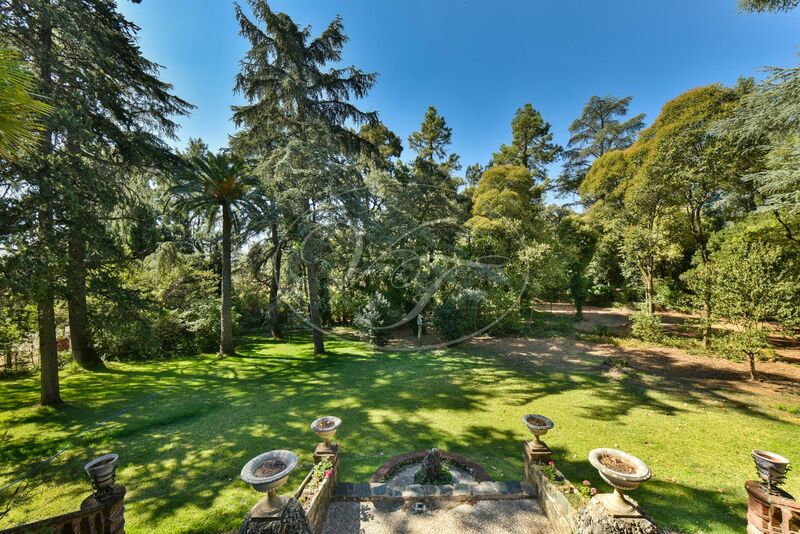 Property is fenced for farming, and partly for hunting. 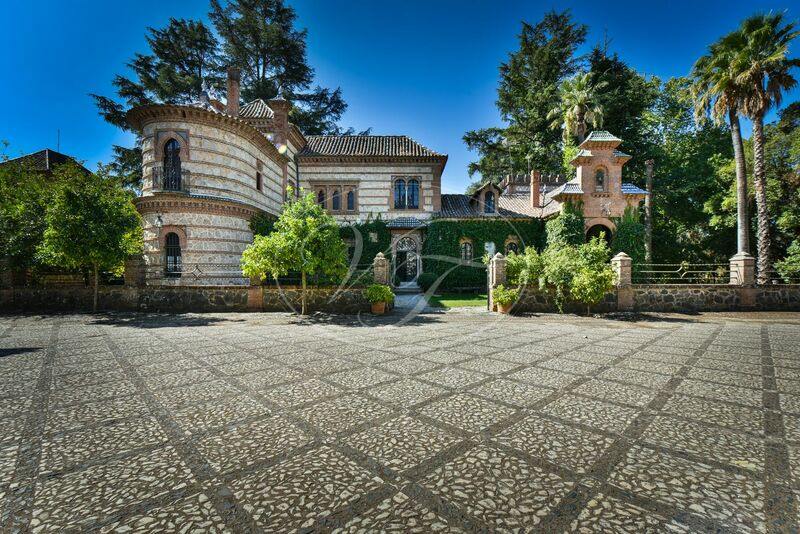 There are a few old ruins on the land. 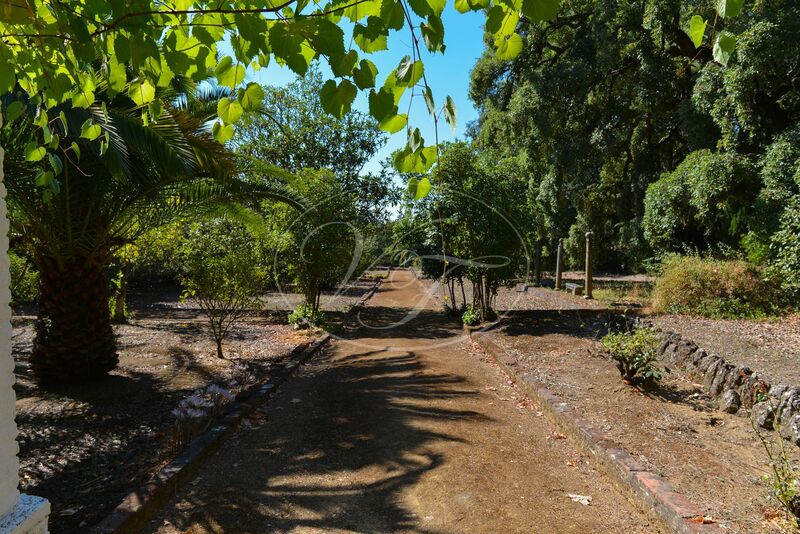 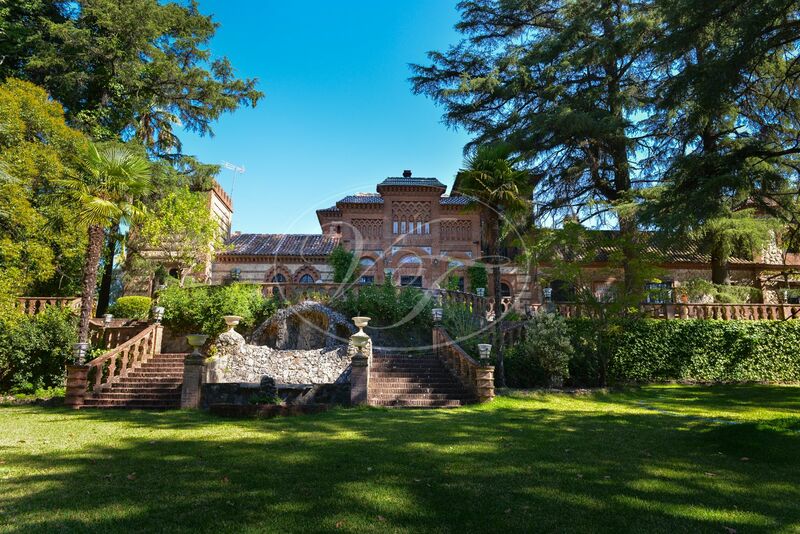 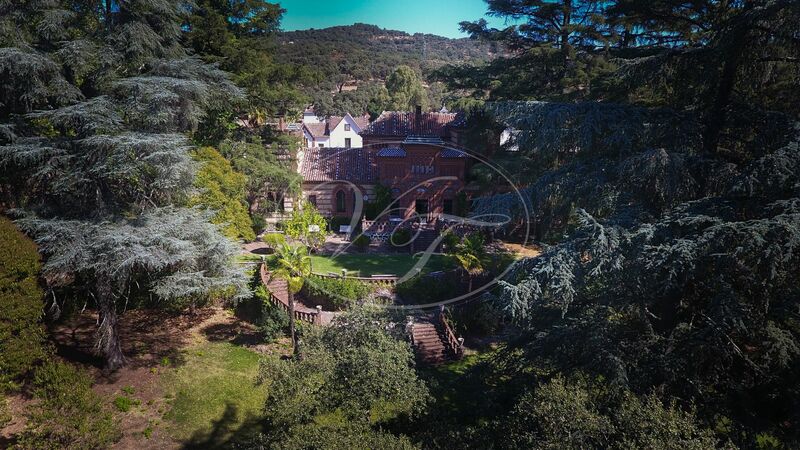 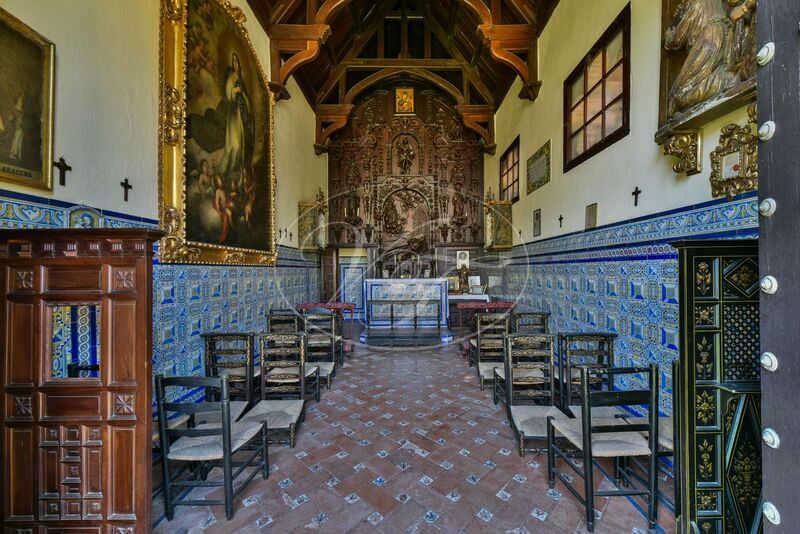 There is the possibility to purchase only the main house with 340 hectares. 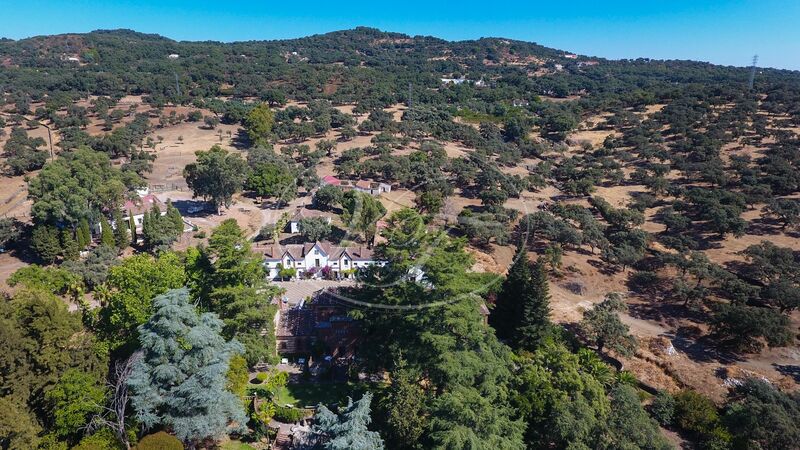 The property is connected to mains electricity and has own abundant water supply from several natural wells. 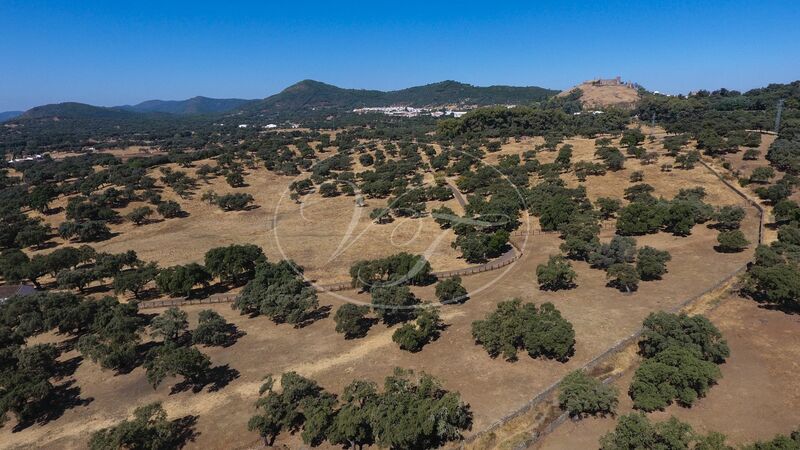 Please, send more information about ref 186-00630P, Estate in Aracena or similar properties.